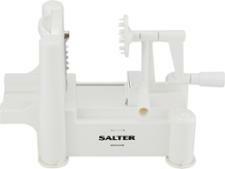 Salter Spiralizer spiralizer review - Which? 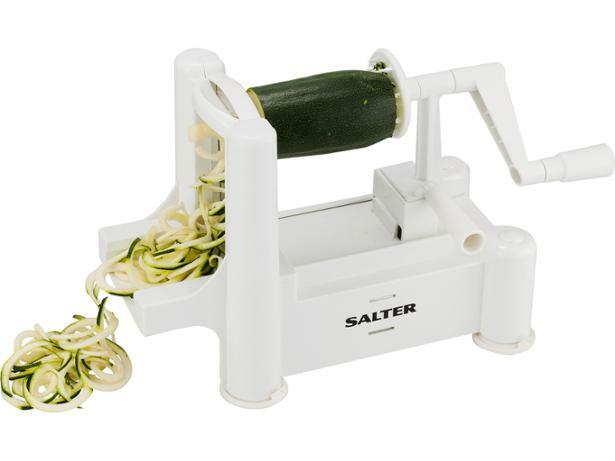 This low-cost table-top spiralizer from Salter includes three blades to make thin noodles, wide noodles and flat ribbons, and all the blades can be stored on the main body when not in use. 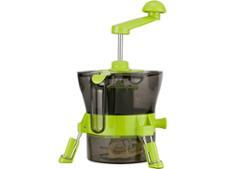 It works horizontally and can take a variety of veg - as long as it fits between the blade and the food holder. 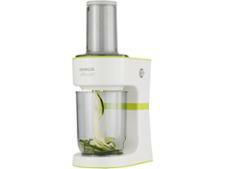 But does this spiralizer hold still while you turn the handle, or will it hop all over your worktop?